S 1/c Richard W. Casburn, son of Mr. and Mrs. R. E. Casburn, Graham, husband of Betty Archer, attended Graham High. 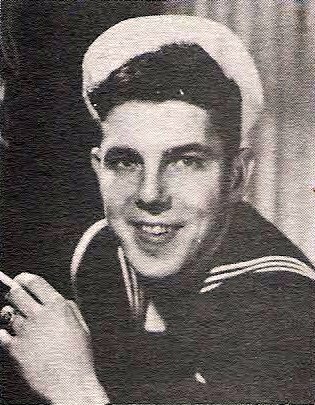 Entered Navy, 1943, trained at Great lakes, Ill. served in Iwo Jima and Okinawa. Awarded ATO, Victory and APO Ribbons with 2 Battle Stars. Discharged, 1946.